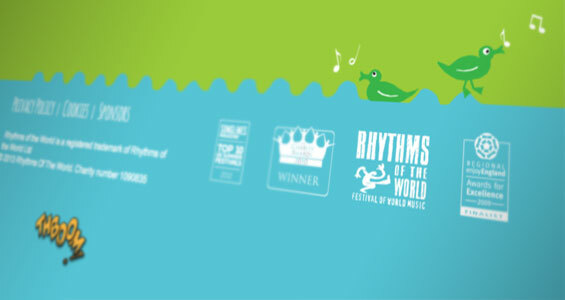 Rhythms of the World Music Festival is back for 2014! This year, The Priory in Hitchin will once again play host to Hertfordshire’s favourite festival. The not-for-profit, family friendly festival has been run entirely by volunteers since 1992, supported by grants, donations and the assistance of local businesses, often providing their services for free. The festival attracts up to 30,000 people over the weekend and runs numerous smaller community events throughout the year but, for the past two years, it has struggled to find a suitable venue so this year is expected to draw a big crowd. 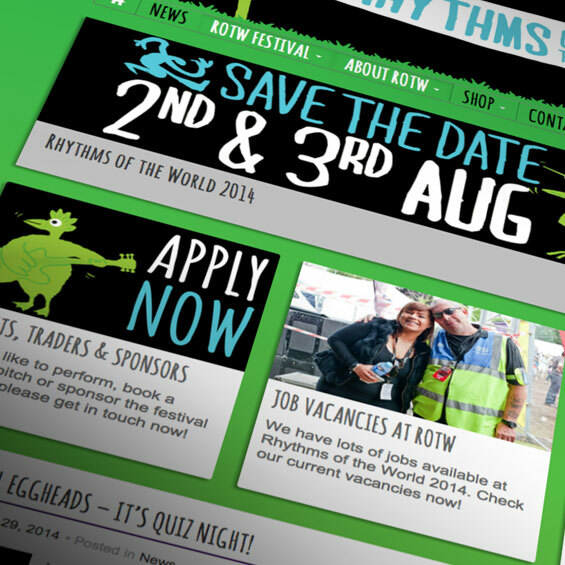 We started working with ROTW in 2013, sponsoring the music festival by providing free web consultancy & developing a new, responsive website for them while helping with various other aspects of their digital strategy. Since then we’ve added a simple online store to the WordPress-based site and have just re-skinned it to reflect the new 2014 “Critters” brand in time for big event this summer. It’s not uncommon for voluntary work to be a collaboration between a number individuals, each bringing their own speciality & skills to the mix. In this case the original Critter designs which form the basis of the new visual identity were created by children’s book illustrator Dan Brammal and the concepts for the web design were by designer Tim Read.